When you’ve decided your child is old enough and developmentally ready to enroll in a daycare, you’ll want to find a center that meets all your needs. 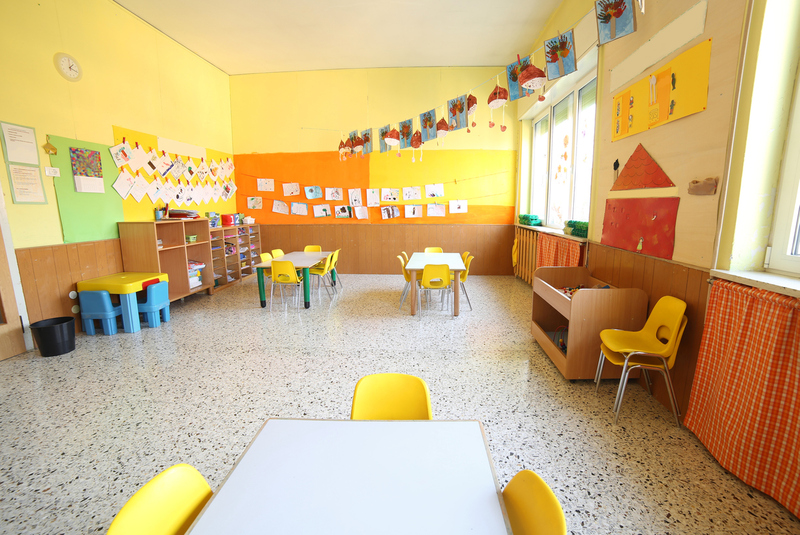 But while you might be looking at factors like safety, cost, and location, you may be forgetting other important considerations when touring a daycare. This checklist for touring a daycare will make sure your potential provider is the best daycare for your child. Obviously you don’t want to send your child somewhere where other parents have had a bad experience, but you also want to make sure you find parents who are willing to speak highly about the daycare. If you can’t find people who are willing to vouch for the daycare, that’s a warning sign, especially if the daycare has been around for awhile. Use Winnie to read parent reviews or ask the daycare to provide references you can speak to when touring a new daycare. When you tour a potential daycare, one of the most important things you should look for is a safe environment. Your child will be crawling or walking on the floor, touching objects, eating snacks, and meals there and using the bathroom. All of these areas should be well-maintained. Most centers will display their childcare facility license clearly. Be sure that the daycare is following licensing regulations, which vary by state. A license means that a daycare has met the minimum health, safety, and teacher training standards set by the state. Caregivers should have training in CPR and basic first-aid and knowledge of early childhood development. Their outlook on discipline, naptime, and feeding schedules should also be in line with yours. Observe how the children act and how the caregivers react to them. There should also be enough caregivers in a classroom to properly care for the total number of children. Make sure to understand the laws in your state and see if the daycare is abiding by the proper ratios. If you find a seemingly perfect daycare but it’s much higher than you initially set in your budget, be realistic. Can you make changes in other areas in your budget to accommodate it? If not, you may need to find a more affordable option. Take the daycare’s location into account as well. Think about how much time you should allow in the morning for your family to get ready. Do their operating hours match your work schedule? Will you have plenty of time to pick up your child at the end of the day? All of these factors should be taken into account when choosing a daycare. It helps to make a physical list and check each one off as you tour a daycare, just to make sure you’re thorough and don’t forget anything. Keeping separate checklists can also help you compare daycares once you’ve completed your rounds. Need help looking for a quality daycare in your area? Winnie’s daycare search can help you find the perfect daycare for your family. What age should a child go to preschool?